We've been meeting with friends at our co-op for almost three years now. In that time, much of the play has been witnessed, supported and shaded by the branches of one very large and beautiful willow tree. Big Owlet and I had known the tree since her playgroup days in the big hall, when she was Tiny's age. She'd stand underneath and marvel at the shadows and light filtering through the leaves. 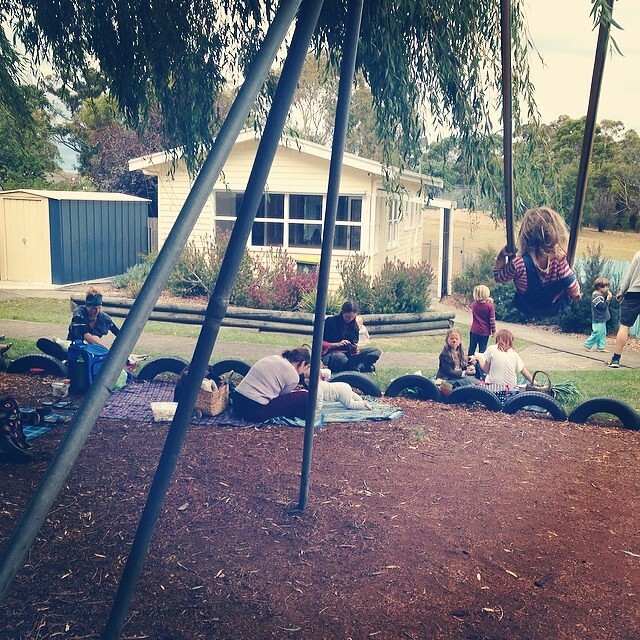 Since we began holding our Hobart Natural Learners Co-op meets in the playground, friendships have been forged, fought over and strengthened under that tree. 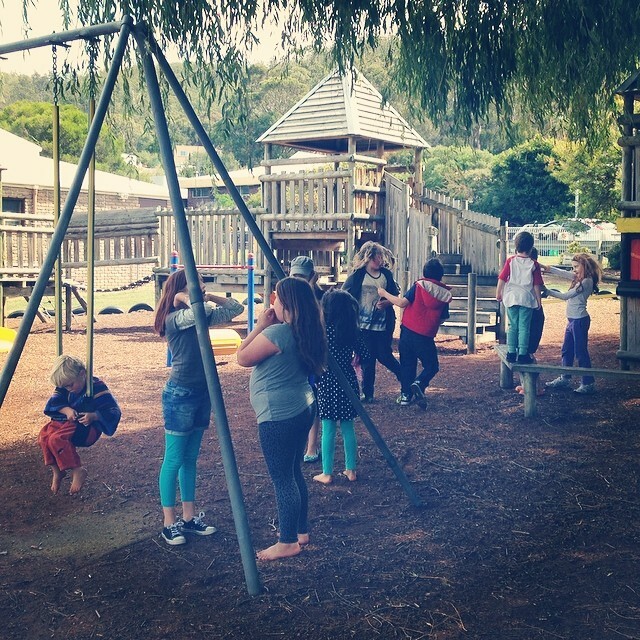 The children learnt to co-operate and problem solve tying a rope swing on its branches. 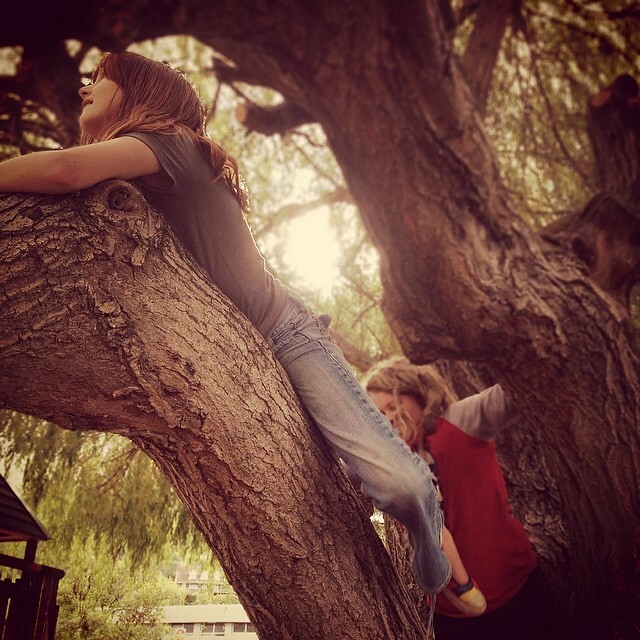 They climbed the larger branches gleefully, facing fears and observing nature around them. 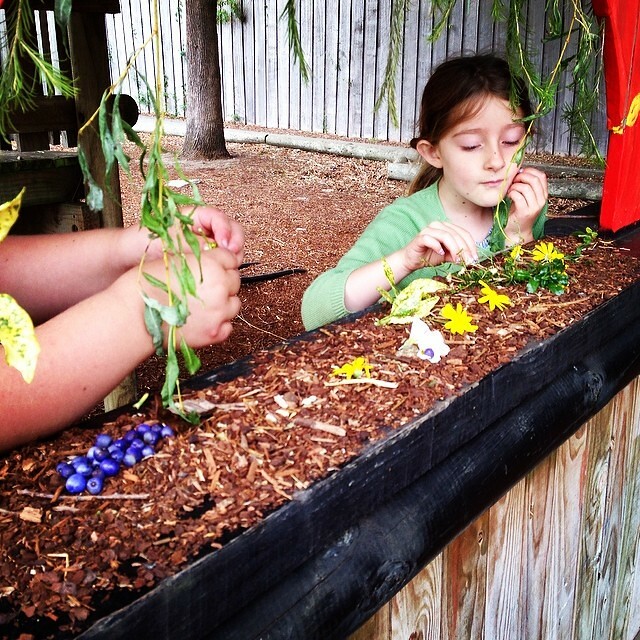 We've woven willow crowns and fashioned brooms and horse reigns from it's smalls branches. 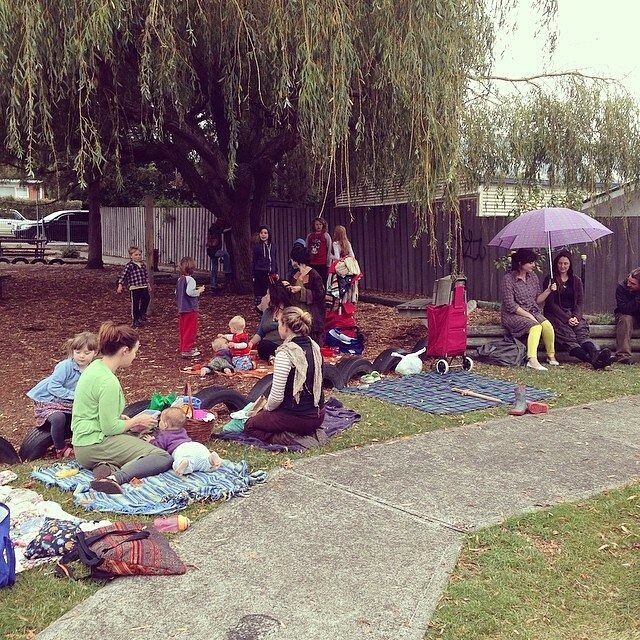 We've escaped the scorching Tasmanian summer sun and sheltered from light rain under that majestic tree. Since she was a baby, Tiny has sat in the swing underneath, asking me to push her "higher and higher!" 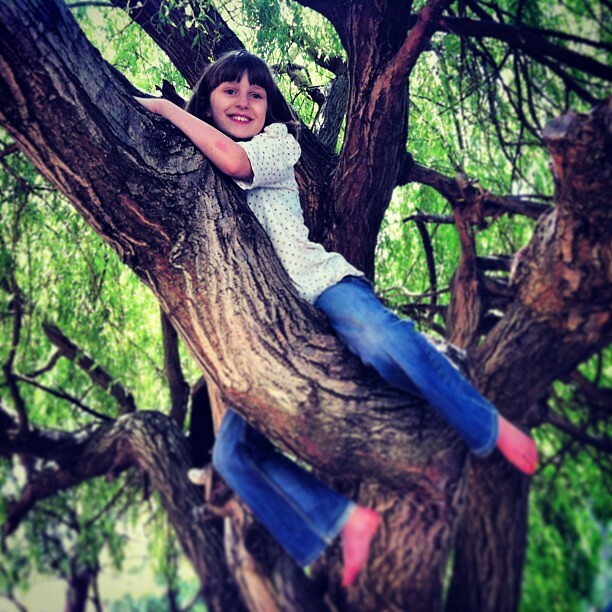 until her bare toes touched the leaves above… We've loved that tree. A beautiful regular fixture in our weeks. The owlets immediately flew into hysterics and tears, greatly distressed at the loss of their tree. I must admit, I did too… We called Huz and asked him to contact the council to find out what was going on. He was put through to the head maintenance worker (let's call him gardening guy), who explained the situation to him and then marched over to us to explain further. 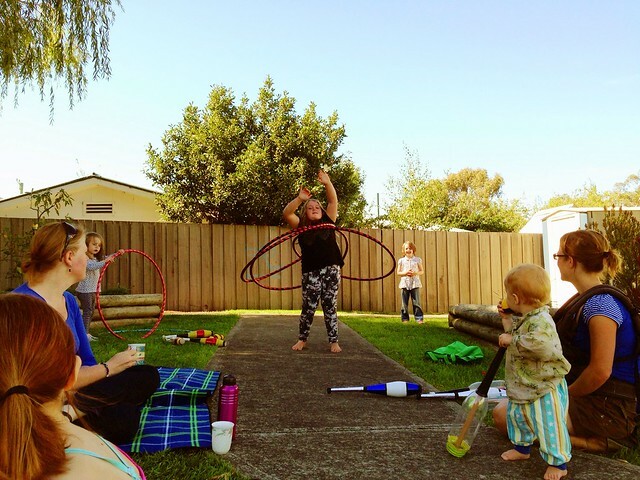 We were spoken to quite defensively and told "Shade sails are better than trees in children's playgrounds", and "Kids can climb trees in their own backyards". "What if you don't have a climbing tree in your backyard?" I asked. "Not my problem", said gardening guy. He also mentioned (I suspect it slipped out), that it was most likely a "financial matter" as "pruning the tree regularly to cut the branches is more expensive than pollarding." Uh huh. And therein lies the truth. When we questioned the severity of the pruning, we were asked "Oh you're an arborist are you?" Not the most sensitive approach towards a group of people who were very clearly shaken and grieving. We were also told it'll grow back again, in a few years. Yeah. It seemed to us that there was more to the story than a small amount of rot at the top of a couple of branches, despite the pictures we were shown of the tree before. Research tells us that pollarding perhaps isn't the best course of action for an old willow tree like this. It will shoot from the top, providing a light canopy in a few years time. But the tree will never be climbable again, removing a potential liability risk for council, certainly. The look of recognition on the children's faces as they counted 35 rings on what was once their favourite climbing branch... They knew they'd never climb it again… "I'll bring my children here and they can climb it", said Big Owlet. I didn't have the heart to tell her that'll never happen. The tree will be more susceptible to decay and disease now. Pollarding it will grow a smaller, light, maintainable canopy at the top, which will weep down if the council let it, but they'll not let any lower branches remain, as confirmed by gardening guy. And tiny toes will never reach for those leaves from the swing ever again. The next morning, Little Owlet told me she woke up happy, and then she remembered. Our tree. Oh. Have you ever lost a tree you loved? What is the worth of a tree that provides shade and play for generations of people living in a neighbourhood, do you think? Should it outweigh maintenance budgets? 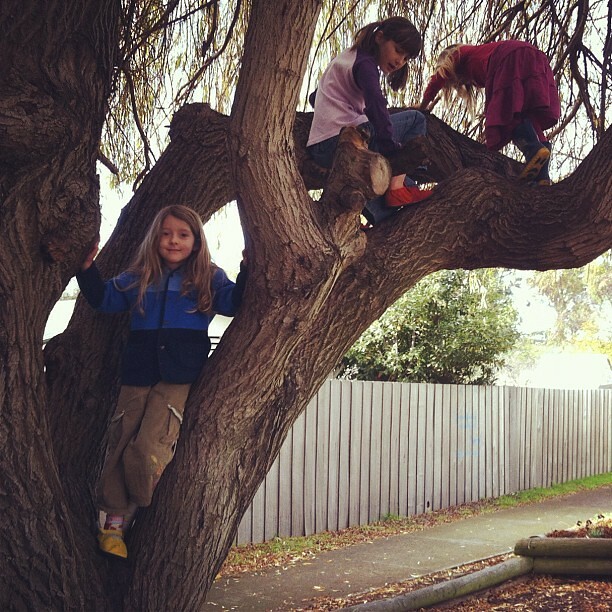 Do you think children should be able to climb trees in public places? Yarn bombing would be awesome! Such a shame! It seems "gardening guy" needs a little re-educationing and this can be done by writing a letter to Council detailing the events and include pictures of before and after especially the photos with the community enjoying the space and tree. Such a shame! 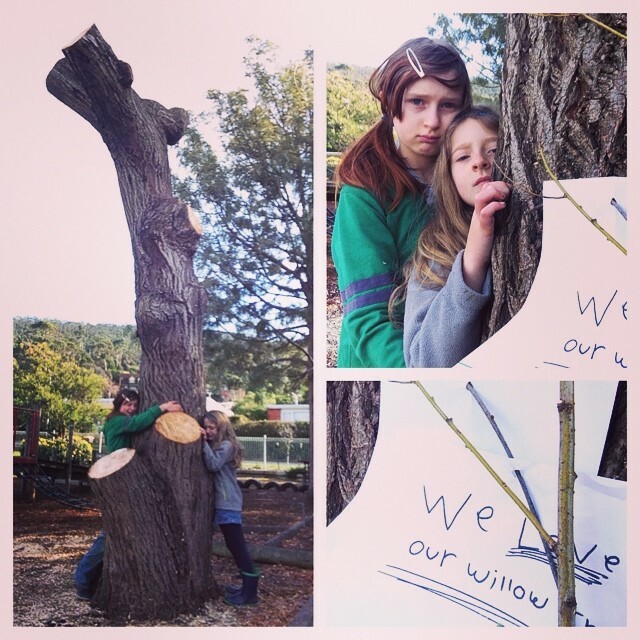 I would ask all of the children....and adults....who have been touched by the tree to send letters to the council. I'd consider a bit more press around this as well to put pressure on to stop this sort of nonsense. I apologize that I bring a rebellious flavor to this very sensitive situation - maybe it is the yank in me - but I would raise holy hell over this, including your yarn protests. Best of luck and so sorry to hear about this beautiful and special tree. *huge hugs* very heartbreaking to have something so beautiful to be taken away for no good reason. There is a picture book by Shaun Tan & Gary Crew "Memorial", about a loss of a tree, which sounds very much like your story (http://www.shauntan.net/books/memorial.html).